Bollywood’s megastar Amitabh Bachchan has always been the most prominent and influential figures in Bollywood. 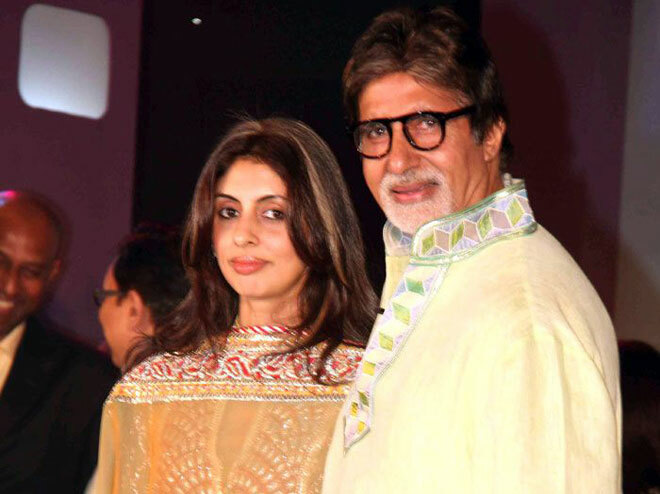 While, the whole of Bachchan family including Aishwarya Rai Bachchan are very much neck-deep into the Bollywood industry with films lining up, Amitabh Bachchan’s daughter Shweta Nanda has always been away from films! Although, not anymore! According to a leading news portal, Shweta Nanda will soon be seen sharing screen space with her father Amitabh Bachchan for a TV commercial. The duo is shooting for Kalyan Jewellers advertisement. The Bachchans have been its brand ambassador since 2012. Moreover, unlike all the times when Amitabh Bachchan has appeared with his wife Jaya Bachchan in the ads, this time’s advertisement is based on a father-daughter relationship which will be aired in July. The duo was recently spotted on the set, ready to shoot the advertisement. Well, we can definitely consider this as Shweta Nanda’s debut. Earlier on, Shweta Nanda had even confessed that amidst all, she was the shy one! Shweta is married to Delhi-based businessman Nikhil Nanda and has two kids – Navya Naveli and Agastya. Although, never in the limelight for films and whatnot, Shweta Nanda is a dear friend of most of the Bollywood celebs in the industry. Amitabh Bachchan’s recent film 102 Not Out with Rishi Kapoor is a hit at the box office now. The actors reunited after 27 years for this film. Big B is now all set for Thugs of Hindostan, which is set for release in December. Let us know what do you think in the comments section below and do not forget to follow us on all our social media handles to stay updated with all the latest photos and videos.